If I Restore My iPhone Will I Lose My Contacts? If you restore your iPhone (meaning, you reset it to factory settings), will you lose all of your contacts? Should you take special care to back up your contacts before you restore it? Do your contacts get wiped out like the rest of your data? The answer to this question is yes. If you restore your iPhone, whether you're using iTunes to do it or you are restoring it straight from your iPhone's own interface, all of your data will be wiped. This includes your files, your message history, and—yes—also your contacts. You will lose them forever. How Do You Restore Your iPhone without Losing Contacts? There is a way to restore your iPhone without losing your contacts. You can use a tool called iMyFone D-Port Pro to selectively restore your iPhone without touching the contacts and other data you want to keep. Restore your iPhone in such a way that it won't affect your contacts on your iPhone. 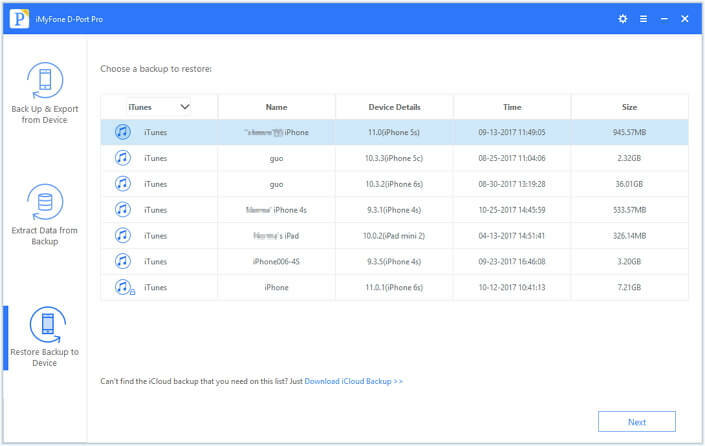 Restore your iPhone from different previous backups, including iTunes and iCloud backups. Make backups without overwriting your older backups, so you can restore from a wide variety of backups whenever you need. It is totally compatible with the latest iPhone 8 and iPhone X, as well as older iPhones. You can selectively extract data from your backups and save it on your computer or other locations. 1 Download and install D-Port Pro to your computer. Connect your iPhone to your computer and open the application. 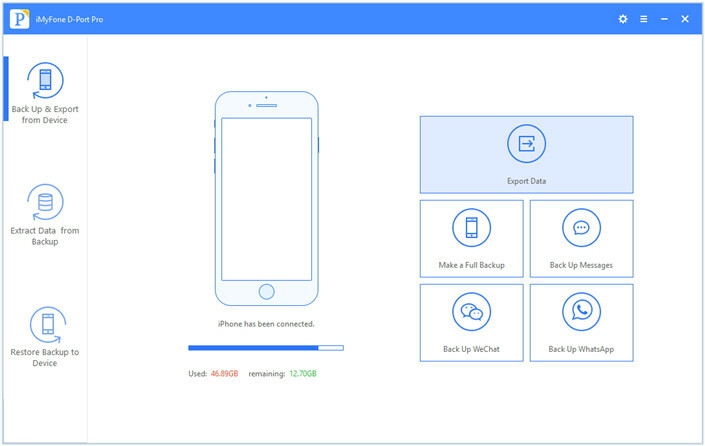 See, this iPhone backup and restore tool can do more than restore your iPhone. 2 In D-Port Pro, click Restore Backup to Device and you will see all the iTunes backups on your computer. Click to choose the one you need to restore. Note: If you don't have any backup for your iPhone, just back up your iPhone with iMyFone's 1st function. It is totally free and easy to finish. 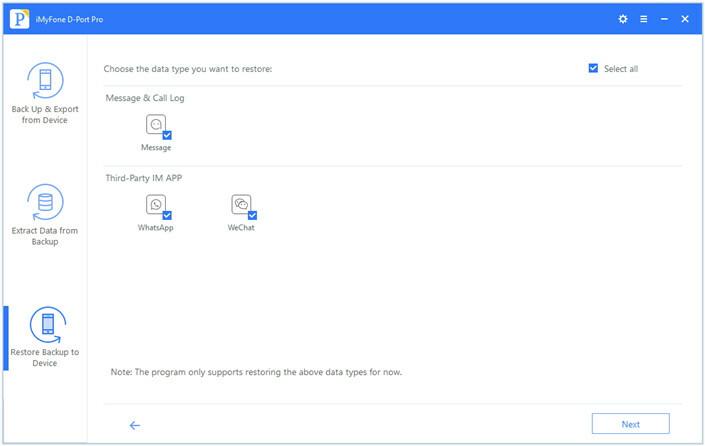 3 Click Restore Partial Backup, then you will see a list of data types this program supports. Choose the data type you think is inessential to restore, then click Next. 4 After that, select the specific data from the list, then click Restore. 5 Wait and don't disconnect your iPhone until the process of restoring finished. This will restore only the inessential data you choose and your contacts won't be affected. You can also selectively restore this backup to an iPhone that has been reset to factory settings and it will transfer only the data you need to it. There is a way to save your contacts when you need to restore your iPhone to factory settings. Simply back up your iPhone before you do the restore. 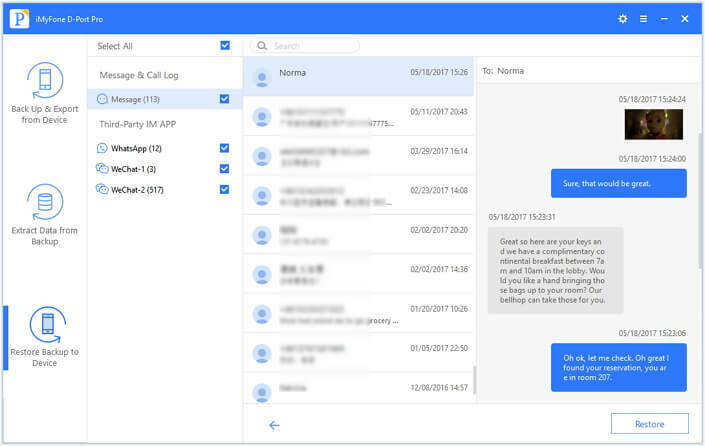 If you want to extract just your contacts from your backup, you can do that also with iMyFone D-Port Pro. Another unexpected benefit iMyFone D-Port Pro offers is to selectively back up your iPhone totally for free. 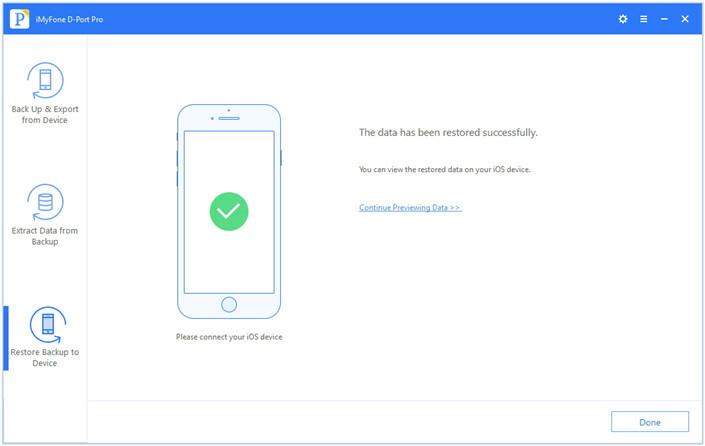 Use it now to secure your iPhone data!